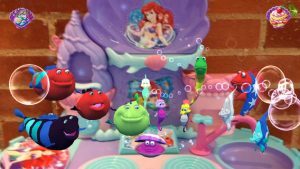 Ariel's Musical Surprise iPhone App Review: A Fun Disney App! Ariel’s Musical Surprise iPhone App Review: A Fun Disney App! Ariel’s Musical Surprise is an iPhone app developed by Disney. 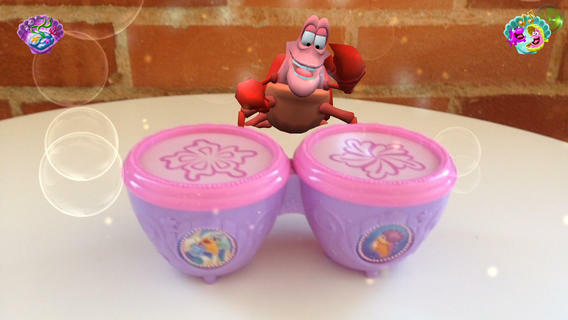 If you or your kids love Disney’s classic film The Little Mermaid, then this is an app you need to download right now. 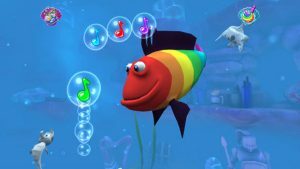 Featuring classic Little Mermaid characters like Ariel, Flounder, and Sebastian, Ariel’s Musical Surprise is a great way to encourage kids to get excited about music. In addition to fun visuals, this app lets you conduct a concert with your undersea band of musical fish. One thing that I found really interesting about Ariel’s Musical Surprise is that the app plays nice with the DreamPlay enabled Little Mermaid toys. If your kids already have these toys, then you definitely need to add this app to your iOS device library to get full functionality. 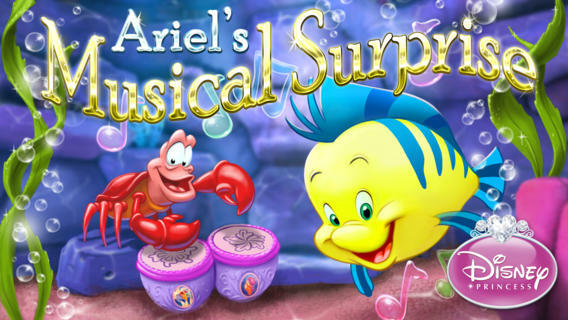 As you’d expect from any Disney app, Ariel’s Musical Surprise has a great, clean, and totally top-notch graphic look. It’s clear this app was made with care, and it perfectly evokes the feel of the movie that inspired it. For fans of The Little Mermaid, this musical collection is really charming. Your kids can play with the app alone, or play alongside their parents as a fun bonding experience. For the Disney Princess in your house, Ariel’s Musical Surprise is a great entertainment tool. This fun app will keep your kids amused on long car rides, or help them wind down before bedtime. For Disney fans of all ages, this cute app is quite amusing! Ariel’s Musical Surpriserequires iOS 5.0 or later. Compatible with iPhone 4S, iPhone 5, iPhone 5c, iPhone 5s, iPad Wi-Fi (3rd generation), iPad Wi-Fi + Cellular (3rd generation), iPad Wi-Fi (4th generation), iPad Wi-Fi + Cellular (4th generation), iPad mini Wi-Fi, iPad mini Wi-Fi + Cellular, iPad Air, iPad Air Wi-Fi + Cellular, iPad mini with Retina display, iPad mini with Retina display Wi-Fi + Cellular, and iPod touch (5th generation). This app is optimized for iPhone 5.